It is almost impossible these days to open a newspaper without reading that our health service is under immense strain. The continued funding squeeze, rising demand and the need to safeguard quality are combining to exert huge pressure across the entire system. These challenges are not limited to England but are faced by health systems across the world. None of the pressures is likely to abate. An ageing population, changing patterns of disease and rising patient expectations will all add to the demands on the NHS. There is now wide consensus that health care needs to change dramatically to meet these demands. Uncertainty and unpredictability will be an intrinsic part of the challenges facing our future health service. New technology will undoubtedly change the way we approach health and care – it already is. But as well as the gadgets we use, change will be as much about different ways of working and relating to each other. The NHS five year forward view, published in October 2014 by NHS England, echoes this, stating that future solutions will involve rethinking how health care is organised and delivered. ‘The future is here – it’s just not very evenly distributed,’ the author William Gibson has said. This observation is pertinent to health and health care: dotted across England and overseas, people are already testing out solutions – technological, scientific, clinical and organisational – to delivering better care. In 2012, we set up Time to Think Differently, an ambitious programme to generate new thinking about innovative ways of delivering high-quality care. Now we want to share examples of an exciting future in health care – a future that already exists in some places. Ingrid Brindle is 70 and lives in the Greater Manchester town of Hyde, near the Peak District. A retired headteacher, Ingrid is, in her own words, ‘a bit of a chronic case’ when it comes to her health. She estimates that she probably spends 24 hours a year with one clinician or another. As mobile technologies evolve, so does the potential for widening the channels of communication between doctors and patients into email and Skype. There are already apps on smartphones that could allow patients to monitor their own weight, blood pressure and glucose levels and to share this information with health care teams. The revolution in information and communications technologies is also giving people much more control over treatment options. Gradually, the balance is shifting towards patients themselves contributing to their health records. 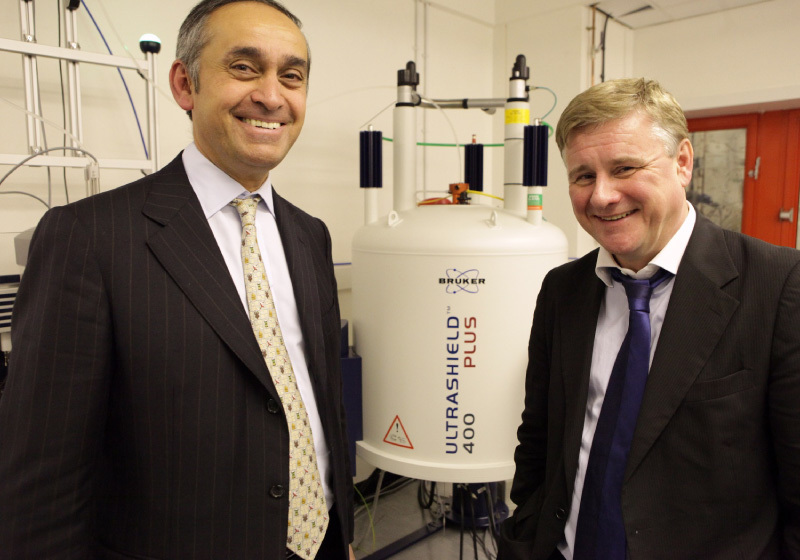 It is a vision that inspires Dr Amir Hannan, the driving force behind the Haughton Thornley initiative. Retired headteacher Ingrid Brindle, 70, has accessed her GP records at her medical centre in Hyde since 2006. ‘It’s hard to explain how empowering it is having control of my information. I have an auto-immune disease affecting my joints and spine as well as my heart and eyes. I’m currently seeing seven different consultants at the same hospital. ‘My consultants don’t always communicate with me or each other, so having immediate access to my own information, wherever I am, means that I hold the whole thing together. I can supply blood test results and prevent re-testing by other departments. The hospital still uses paper records. Once, a consultant discovered that information he needed was missing from the hospital records. Luckily, I could get it for him by accessing my GP records on my mobile phone! Before I had online access, needing to ask for information all the time was both inconvenient and disempowering. 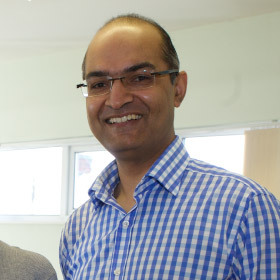 Dr Amir Hannan, along with his partners, decided eight years ago to enable his patients at the Haughton Thornley Medical Centres to access their GP records online. Well over 3,000 patients can now do this. ‘When I first started, I was convinced that the partnership of trust that exists between patients and clinicians would help us to share information safely, but that there may be some patients who come to harm. Eight years later, I’m still waiting for my first problem. That is because I was incredibly pedantic about making certain, as a data controller, that the patient could handle their personal information in their own time and that the support could be provided to help them understand it. ‘Thirty-eight per cent of our patients with asthma are doing this; so are 57 per cent of our patients with depression and anxiety. This is about parity of esteem. The clinician is an expert in health care, but the patient is an expert too. They are an expert in their symptoms, in how it is affecting their family, their work and so on. We also have a third expert in the room – the computer. It has long been recognised that people with long-term medical conditions can be as expert about their condition as the health care professionals they see. But only recently, and in a limited number of places, is that insight being translated into practical measures to give people more control over their lives and their health. In some cases, this means giving patients the resources to choose the support they need. Some innovative providers are going further - they are co-opting patients into the health care team, so that they decide when and how to access their care. 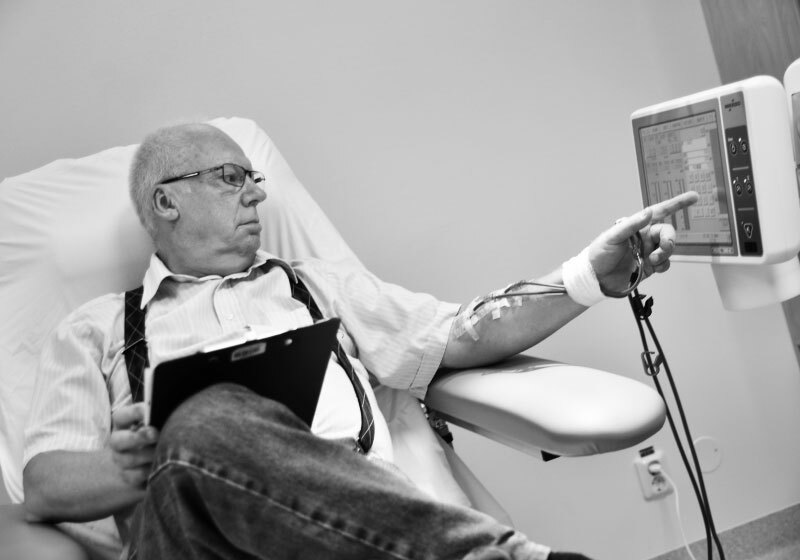 This is happening at the self-dialysis unit at the Ryhov regional hospital in Jönköping, Sweden. Patients operate self-dialysis machines at the unit, on their own and at the time of their choice, monitoring all the operations and cleaning the machines after use. If problems arise, patients liaise with the unit staff to find a solution. Patrik, a former dialysis patient, would arrive at the unit at 6am, an hour before the staff. 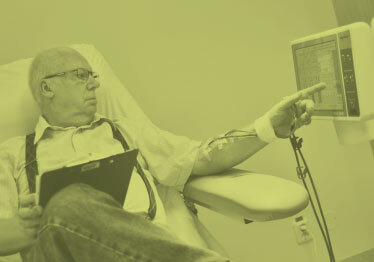 He’d spend 20 minutes setting the machine to his requirements before connecting himself up for his four-hour dialysis. ‘It is much better,’ he told film-makers visiting the unit. ‘No one is talking over my head, and I know everything that is about to happen.’ Patrik has since received a kidney transplant and is now a ‘patient supporter’ at the dialysis ward. The patients at the unit share advice about how to handle treatment. Hearing an idea from a fellow patient can often make it more palatable, according to Britt-Mari Banck, a nurse on the unit. For her, the relationship with the patients is entirely ‘on a level’. We need to boost the role that patients play in their own health and care – that was a key message from Simon Stevens when he became head of NHS England in April 2014. Patients, carers, volunteers and communities, he said, are sources of ‘renewable energy’ that will be ‘central to our future’. Nowhere is that energy better demonstrated than by the 20,000 health champions recruited among members of the public by Altogether Better. By working in local communities and supporting healthy social activities, these health champions have shared positive health messages with a further 200,000 people. Evidence suggests that this approach has influenced positive behaviour change, improved health, decreased hospital admissions and prompted better use of health services. Community action like this, bolstered by government regulation and the application of advances in behavioural sciences, opens up the possibility of prevention at last moving to centre-stage. 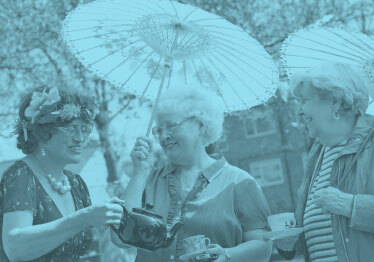 This is important, not least for the growing numbers of older people in the population. Prevention in later life has been shown to bring many benefits, both in delaying the onset of illness and in enabling people to maintain a good quality of life despite illness. 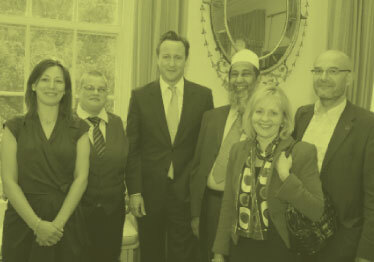 Altogether Better’s work with older people in Bradford’s Bangladeshi community is a case in point. Members of this community – one of the most deprived and under-represented in the city – can be hard to reach in terms of encouraging positive health behaviours. Altogether Better offered a fresh approach: it devised the ‘Seniors show the way’ project to train older people as champions to spread positive health messages among family and friends. 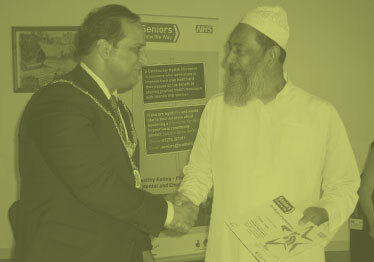 Mashud Haque, a retired careers adviser with a passion for tackling health inequalities, was keen to sign up. 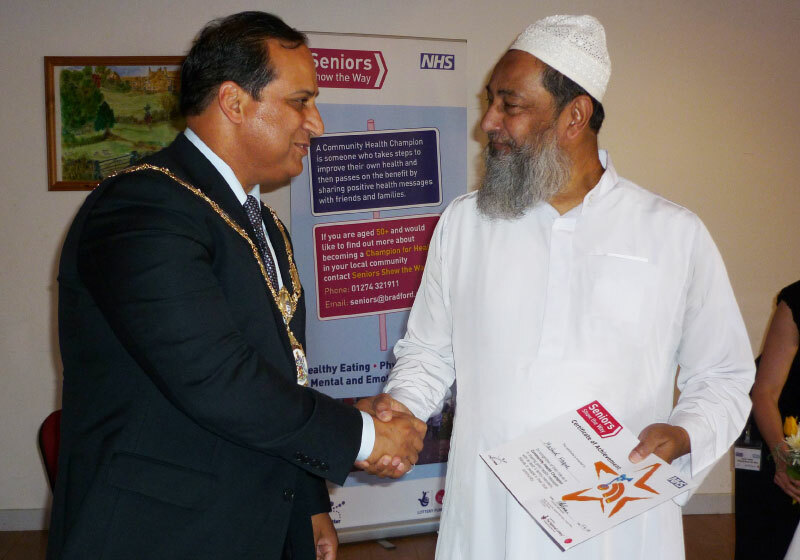 He meets people at his mosque to discuss healthy eating, keeping fit and other issues informally, and feeds back information on population health needs to the project. At the other end of the age spectrum, Altogether Better also boasts a prototype network of young health champions in Shropshire, who use social media and other sources to engage with and encourage other young people to have conversations about health and happiness. The internet is a powerful force in helping people to get the right support and build their own networks. A prime example is the Big White Wall, an online early intervention service for people in psychological distress. It allows people to talk anonymously to others in groups or individually. Around 95 per cent of users – many of whom are ex-military personnel – report an improvement in their wellbeing following use of the service. In each of these situations, individuals are taking action on their mental and physical health. We need to get to a point where this type of pro-active thinking about health is a reflex for everyone – rather than only thinking about it in response to problems or crises. 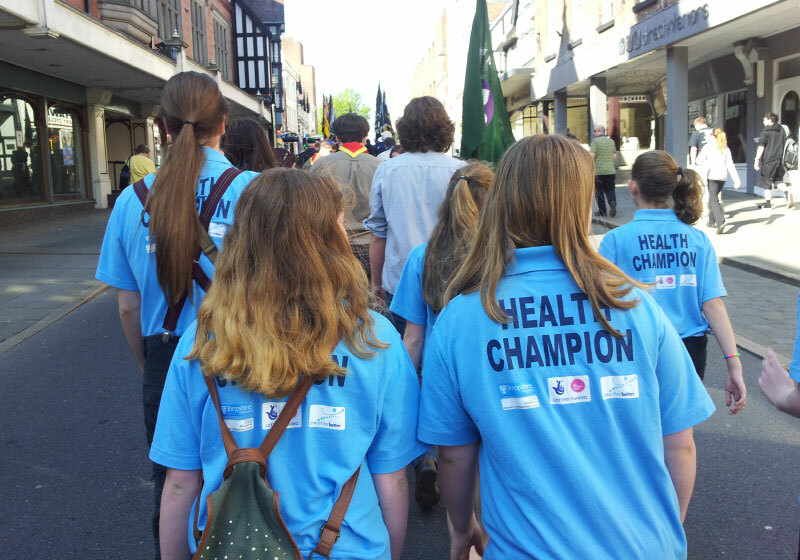 In October 2014, Shropshire’s young health champions gathered in Shrewsbury for a day of celebration. With confidence and pride, they presented their various projects using colourful displays and stalls that they had organised. 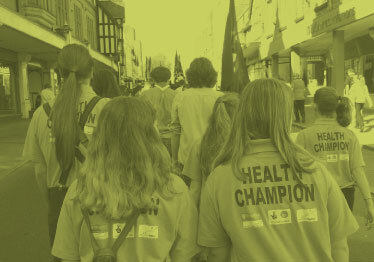 There are around 150 young health champions aged 11 to 25 in Shropshire, with 150 more to be trained. They were recruited through Altogether Better to run projects to improve health and wellbeing outcomes for children and young people. Transforming how young people interact with health and social care providers and commissioners was also a key aim. It was clear from the event that the young health champions are benefiting in many different ways. ‘I’m decorating a teenage ward at Telford Hospital, I’m doing a video for diabetics all over Shropshire on awareness about Type 1 diabetes, and I’m opening a shop at the shopping centre,’ Laura, another young champion, said. The champions’ social media page gives a snapshot of the activities organised both for and by the young people – cookery and nutrition classes using products from food banks, an activity day to manage stress, a workshop on coping with bereavement. 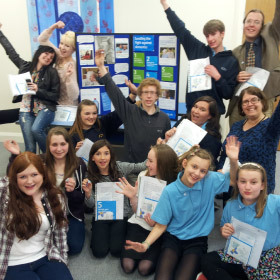 The young health champions network has been running as a prototype since November 2013, in partnership with Shropshire Clinical Commissioning Group (CCG) and Shropshire Council, and is funded by the Big Lottery Fund. Attending the celebration day, Dr Helen Herrity of Shropshire CCG was, like many health leaders, impressed by the young champions’ energy and creativity. 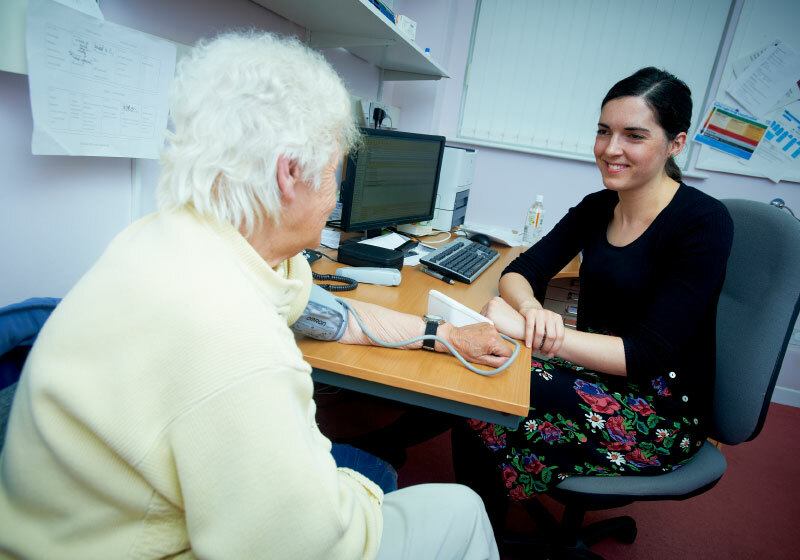 Primary care is well established as the first port of call for most people when they need medical help. 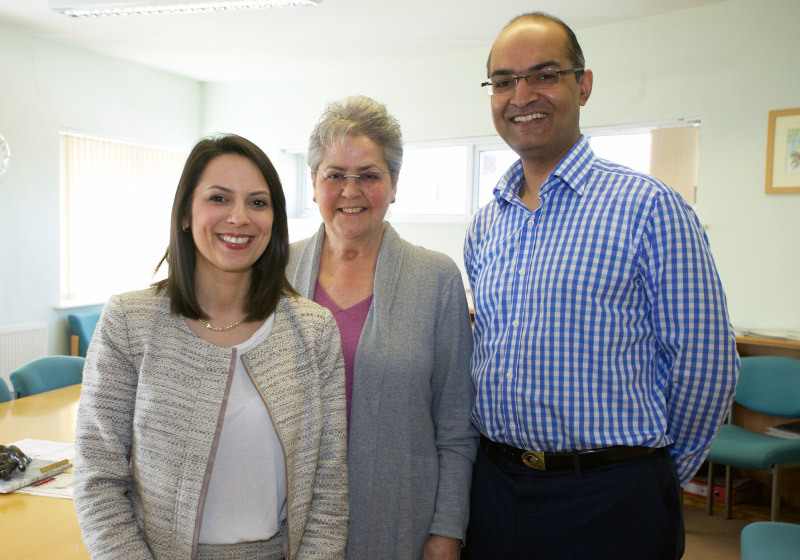 For many, the GP surgery is a constant thread in their lives. As such, primary care has the potential to offer a much wider range of support. By going beyond medical care as we know it, primary care teams have the chance to influence the wider social determinants of people’s health – and to help them make lifestyle and behavioural changes. The process can be two-way with primary care drawing on a community’s energy to help tackle social isolation and mental health issues, while strengthening peer support. The Bromley by Bow Centre in east London’s Tower Hamlets has been successfully developing this concept over recent years. A hugely diverse community, Tower Hamlets has very high child poverty levels and low household incomes, and more than a fifth of its adult population have no qualifications. A founding premise of the centre was to address these social determinants of health. 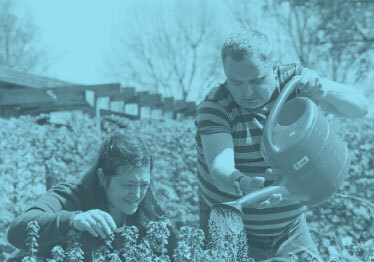 Staff at the airy purpose-built premises offer housing, education and employment support alongside health care. This holistic approach aims to address not just physical but also mental health needs. 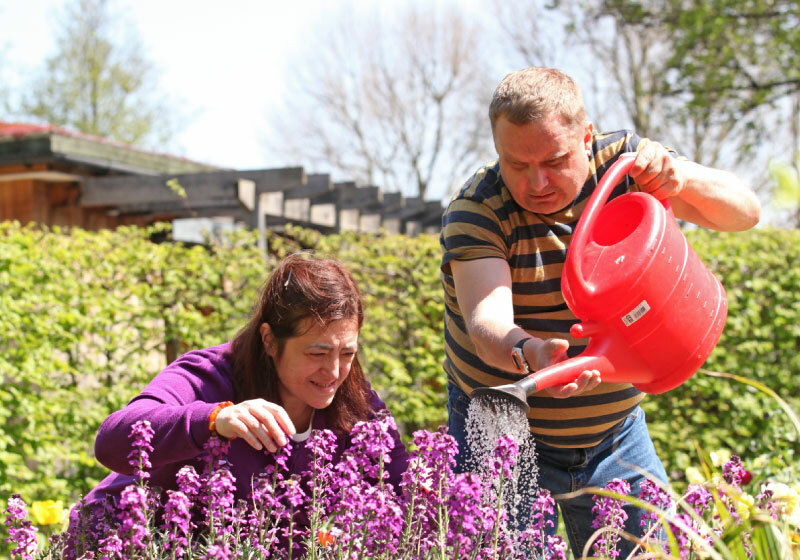 Patients can access therapies such as Pollen (‘People, life, landscape and nature’), a social and therapeutic horticultural project for adults experiencing mental distress, and motivational coaching. Perhaps it is the interpretation of the doctor–patient relationship that really underscores the centre’s drive to nudge patients into taking more responsibility for their health. The centre has no titles, no ties, no NHS signs on the grey stone arched entrance – and crucially no sitting behind desks and screens in the old style. The GPs greet their patients in the waiting room and sit side by side with them at a curved desk looking at the computer together. ‘It’s all about giving the message – this is self-care, this is yours, this is part of the community,’ Sam says. If doctors are asking patients and the public to change their health behaviours, it follows that health care staff must be ready for change too. The days of the heroic doctor single-handedly saving patients at times of crisis may not have entirely disappeared. But increasingly that picture is changing into one of an entire team of highly skilled practitioners working across boundaries to provide quality care throughout a patient’s lifetime. These new models can involve specialists working across secondary, primary and community settings with the aim of making services more joined up and providing quality care more consistently. Such a multidisciplinary approach is particularly suited to caring for older people with multiple co-morbidities, disability and frailty. It is one embraced by the Leeds Interface Geriatric Service at Leeds Teaching Hospitals NHS Trust working with Leeds Community Healthcare NHS Trust. 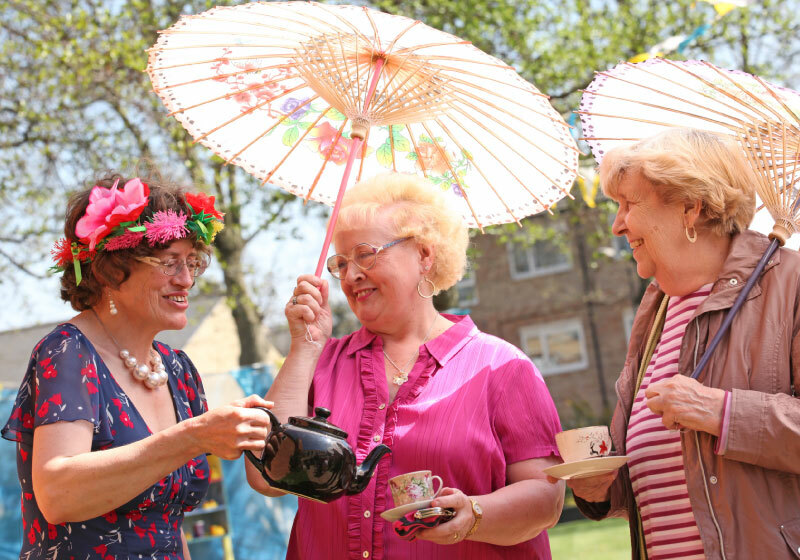 They provide various services for older people beyond hospital-based care – blurring traditional boundaries between community and hospital services. Cultural change was a big hurdle to setting up the service – people were used to their own ways of working or doing things. ‘That applies to staff, and patients and service users, and their carers,’ says Dr Eileen Burns, consultant geriatrician at the service. Leeds offers an example of staff solving problems creatively by thinking and working beyond the usual limits of their roles. Such untrammelled thinking that cuts across traditional organisational boundaries will be central to health care of the future. In 2006, district nurse Jos de Blok was so despairing of the poor state of home care in The Netherlands that he felt compelled to find an alternative. His solution was to create a system that gave nursing staff more control over their work by removing traditional hierarchical structures. 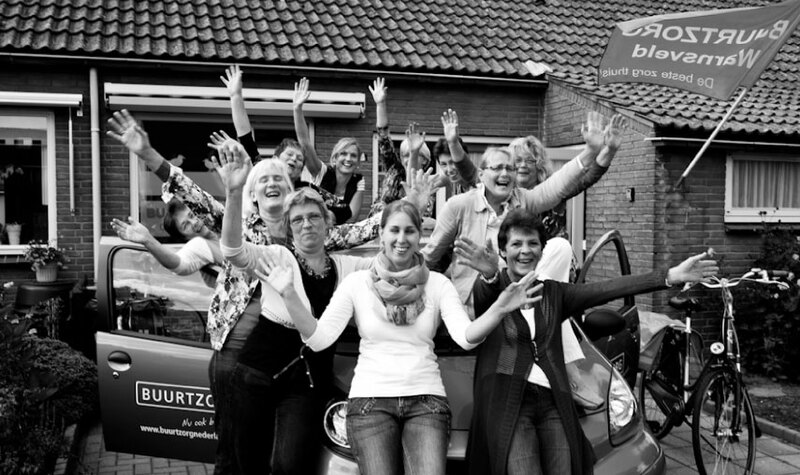 Jos set up Buurtzorg – which means ‘neighbourhood care’ in Dutch – with a team of four nurses. 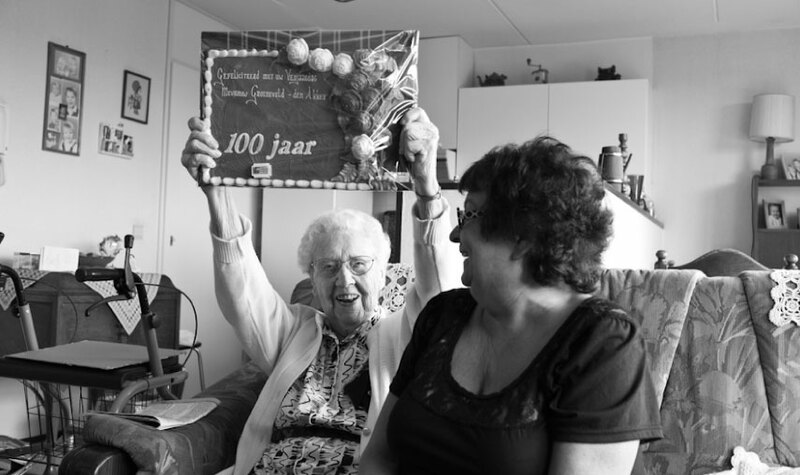 Today there are nearly 8,000 Buurtzorg nurses in 630 independent teams, caring for 60,000 patients a year. 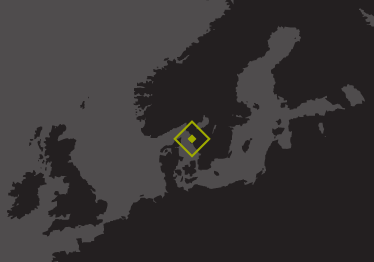 Nurses in Sweden, Norway, Japan and the United States are adopting the Buurtzorg model. 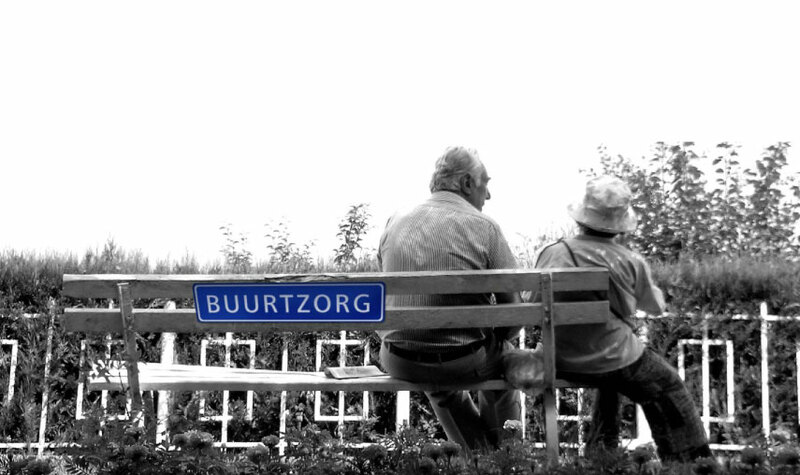 A Buurtzorg nurse typically sees fewer patients every day, but spends far longer with each. He or she carries out whatever medical and personal care duties the patient requires. The nurse operates within a small team that manages itself, drawing on the support of patients’ family and friends and the community. A central back office team handles paperwork to keep nurses’ bureaucracy to a minimum. Buurtzorg says its nurses provide an ‘inside-out’ layer of care, acting as ‘navigators’ for the patient and family with other health care professionals, while helping patients to find their own solutions to their care needs. Both nurses and patients report high levels of satisfaction with the model. Auditors, policy-makers and insurers are attracted by results showing lower overall costs, fewer hospital admissions and patients staying in their homes for longer. This approach may not be right for all health systems but it highlights the potential benefits of taking a fresh look at professional roles. 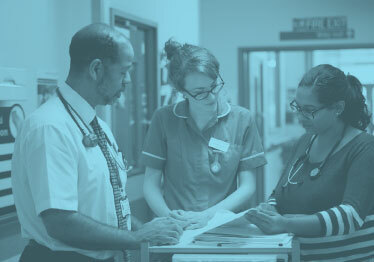 There are a growing number of examples where teams and organisations are experimenting with roles to maximise the benefit for patients – whether it is introducing relatively new roles such as physicians’ associates or thinking again about how existing professionals, such as pharmacists, could work in different ways and settings. 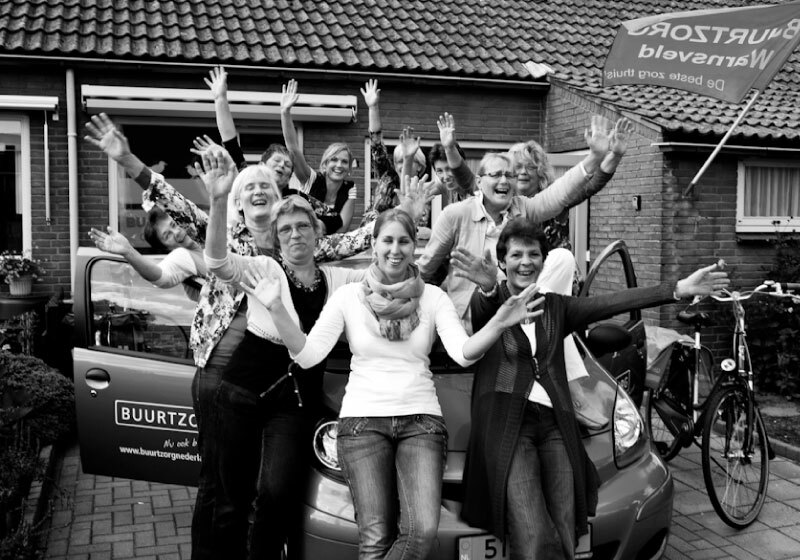 Buurtzorg started in 2007 with one team/four nurses. 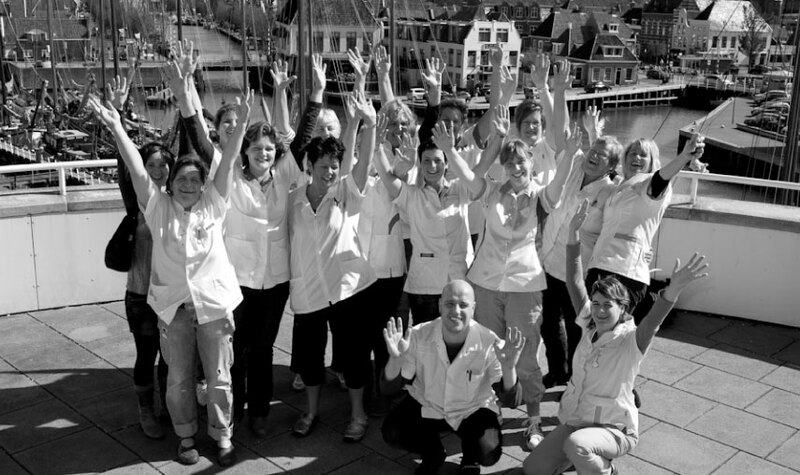 Today there are nearly 8,000 Buurtzorg nurses in 630 independent teams, caring for 60,000 patients a year. Nurses in Sweden, Norway, Japan and the United States are adopting the Buurtzorg model. 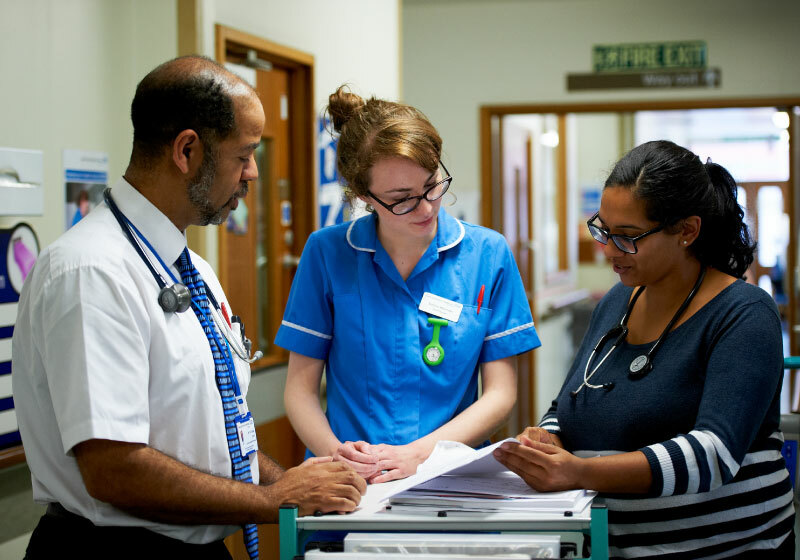 The care delivery model takes a nurse-led team approach. Buurtzorg nurses provide an ‘inside-out’ layer of care, acting as ‘navigators’ for the patient and their families with other health care professionals, while helping patients find their own solutions to their care needs. With growing numbers of older people and people with complex needs, care will need to be much more joined up than in the past. This means breaking down barriers between primary and secondary care, physical and mental health care, and health and social care. Central to this ambition is enabling hubs of care to develop outside hospital settings. Out-of-hospital care needs to be integrated to support this ambition and to anticipate and respond to people’s needs before crises develop. New technologies have a vital role to play in this transition. Through remote monitoring and by re-locating the delivery of services currently provided in hospital, more people are already being cared for where they live. 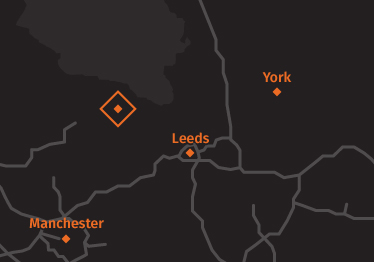 Head north west out of Leeds to the edge of the Yorkshire Dales and you reach Airedale Hospital and the pioneering Telehealth Hub at Airedale NHS Foundation Trust. 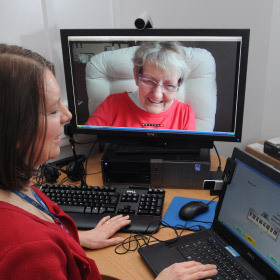 Specialist nurse and consultant teams at the hospital site run a 24-hour video consultation service for patients and carers in more than 150 nursing and residential homes across the county, in prisons, and with some patients in their own homes. Through a secure, encrypted video link, staff can see the patient to diagnose, review and assess their conditions, intervene to prevent deterioration, judge future care needs and provide routine follow-up and outpatient services. High-definition cameras and screens enable staff to assess conditions including breathing complaints, rashes, chest infections and head injuries. At Sutton Lodge, a care home in Sutton-in-Craven, staff and patients are delighted with the practicalities of round the clock access to specialised medical care. ‘Anything that reduces the time that our residents spend in A&E is good for us as it’s so stressful for them to travel to hospital,’ the manager of Sutton Lodge, Michael Hebden, comments. With technology like this developing apace, the ambition is to enable more people’s homes to become hubs of care, supported by much greater outreach from hospitals. 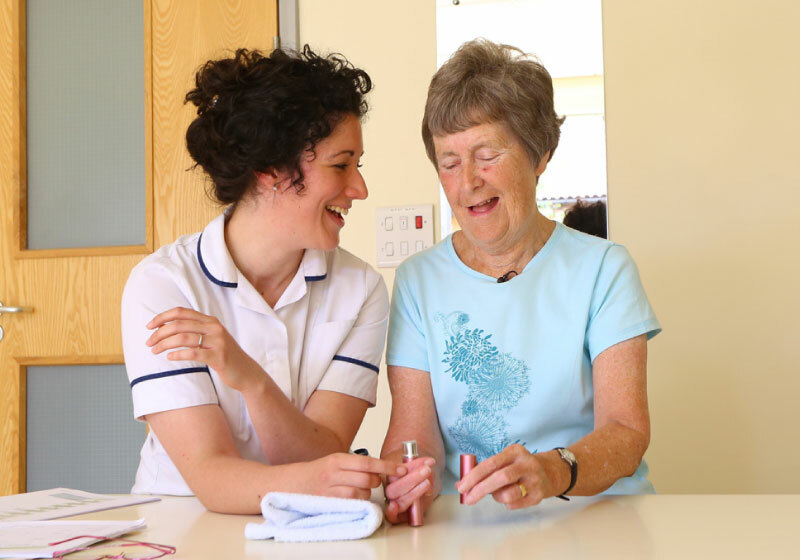 The vision is to deliver a much wider range of services in the home, such as intravenous antibiotics, chemotherapy and speech therapy. In 2012, Airedale NHS Foundation Trust’s speech and language therapy team piloted the remote delivery of an intensive treatment to improve life for the increasing number of patients with Parkinson’s disease. Ruth Pickles, who is 62 and lives near Skipton, was diagnosed with Parkinson’s disease in 2001. 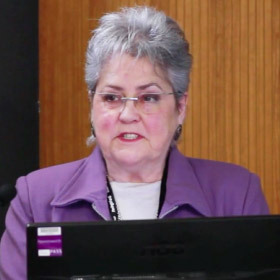 She was the first patient to remotely trial the therapy – known as Lee Silverman Voice Treatment (LSVT) – which helps patients to speak more loudly. The treatment demands a lot of time and interaction between patient and therapist – one hour a day, four days a week for four weeks. It is costly, especially as patients or therapists are usually required to travel to see each other in person. Delivering the treatment remotely, using an encrypted video link and internet technology, helps ease these costs. On her computer screen, speech and language therapist Debra Borsley could see Ruth seated comfortably in her armchair at home as clearly as if she was sitting next to her. Ruth was keen to take part, although initially she was hesitant about the technology. She now describes the system as ‘marvellous’ and is looking forward to being able to read stories to her grandchildren again. Research to hone the diagnosis of patients’ conditions means that increasingly people will be treated with far greater precision and accuracy. Some of the most fascinating advances in this area are taking place at Imperial College, London, championed by Professor Lord Ara Darzi and Professor Jeremy Nicholson. Both scientists are particularly interested in personalised medicine – using the vast amount of data that technology can now capture about a patient and a disease to produce much more specific diagnoses and targeted treatment. ‘The benefits of personalised medicine for patients are huge,’ says Lord Darzi, who sees particular advantages for more targeted cancer care. There is now a range of drugs to treat different types of cancers in a targeted way, depending on the patient’s genetic make-up. The breast cancer drug Herceptin was one of the first treatments to be used in this way. The drug is only effective in people who have a particular mutation in their breast tumour. 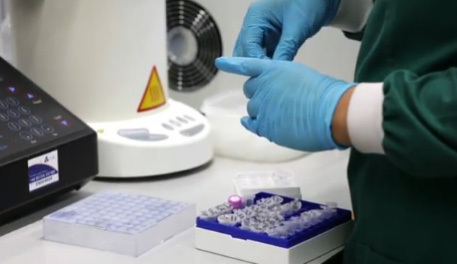 The drug Cetuximab, meanwhile, which is used to treat cancer of the large bowel, only works for bowel cancers that have a normal KRAS gene, so before it is used, the patient’s cancer cells are tested to see if there are mutations in the KRAS gene. This helps doctors to decide if the treatment is appropriate for the patient. Lord Darzi argues that such advances will eventually force changes in the mind set of care systems. The prize on offer is to use all this data to target therapies more accurately and to identify people who are at risk of developing a disease before they become ill. This has huge implications, according to Lord Darzi. There are potential cost savings from identifying disease before symptoms occur, and from managing the risk of disease more actively within a local population. This will also affect the way pharmaceutical industry designs drugs, moving from a single ‘blockbuster’ remedy to more targeted medication. Personalised medicine is one of thousands of areas of scientific innovation in diagnostics, medicines, and medical technology and devices. One challenge is enabling new developments to go from lab to clinical practice at sufficient speed and scale. Imperial College is part of Imperial College Health Partners, one of the academic health science networks created to ease this path. These networks bring education, clinical research, industry and health care delivery together to improve health outcomes by sharing knowledge, building partnerships and allowing rapid evaluation and adoption of innovation. In December 2014, Imperial College Health Partners was announced as one of eleven Genomics Medicine Centres selected to deliver the 100,000 Genomes Project, which aims to sequence 100,000 whole genomes from NHS patients by 2017 to enable new scientific discovery and medical insights, bringing benefits to patients. In some parts of the world, patients go undiagnosed and untreated because they cannot reach city hospitals for the care they need. 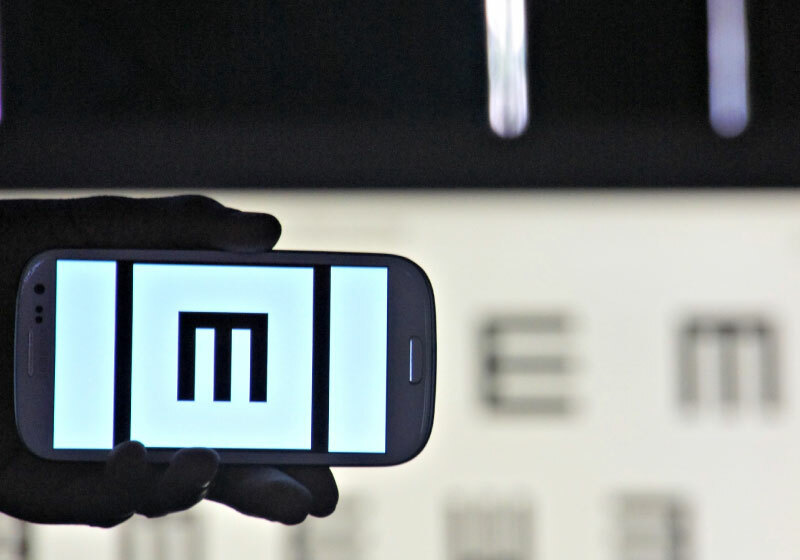 It was this very scenario that gave rise to Peek Vision’s easy-to-use app that turns a smartphone into a portable diagnostic tool for eye care. Peek Vision’s team of ophthalmologists, engineers, business experts and software developers shared the ambition of expanding access to high-quality eye care. Around 285 million people worldwide are blind or visually impaired – yet an estimated 80 per cent of cases are thought to be avoidable. The challenge for many of these cases is in diagnosing patients in remote settings, especially if the only equipment available to use is the bulky examination machinery found in most hospitals. 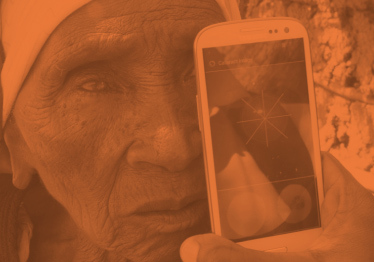 Peek Vision’s smartphone app has been refined and tested in Kenya, Botswana and Mali and was recently introduced to health care workers in Guatemala. ‘Most ophthalmologists live in the city, but 70 per cent of people live in rural areas,’ explains Juan Francisco, the director of Visualiza eye clinics in Guatemala and one of those who has used the new diagnostic tool in village locations. 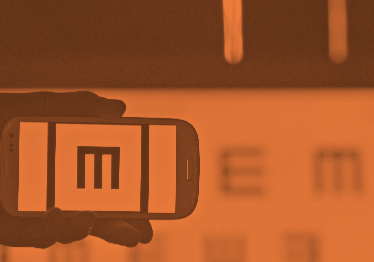 The Peek Vision app effectively turns a smartphone into a comprehensive eye-care kit, giving high-resolution images of the eye at a fraction of the cost of traditional, hospital-based tools. 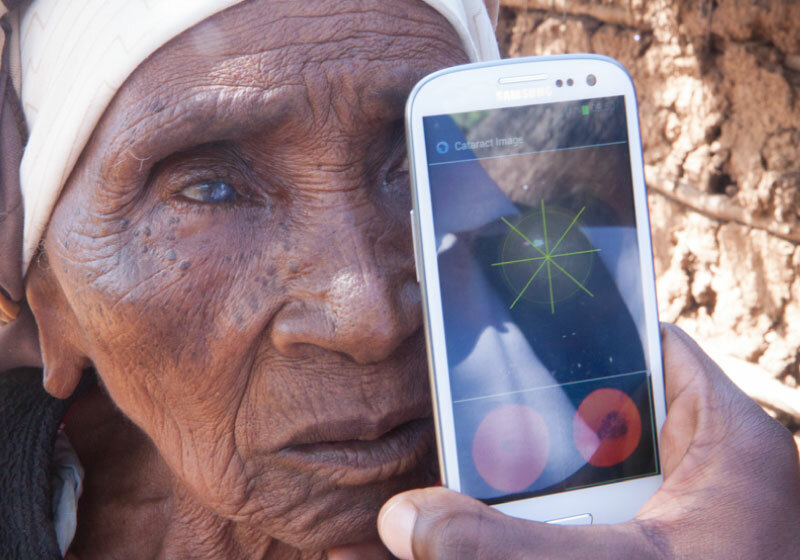 The app uses the phone’s inbuilt camera to scan the lens of the eye for cataracts and illuminates the retina to check for disease. A shrinking letter that appears on screen can be used as a basic vision test. The whole concept – the result of a collaboration between the London School of Hygiene and Tropical Medicine, University of Strathclyde and the NHS Glasgow Centre for Ophthalmic Research – is designed with a non-specialist health worker in mind. The Peek Vision app is just one example of how smartphones are transforming health care. It’s a huge growth area – there are apps to help people manage their mental health, wearable technology that sends ‘bio data’ from people’s clothes to their smartphone, and apps that let people sample and test their own blood, DNA and urine, to name but a few. Handheld DNA scanners are being developed that could allow patients to spit into a device that can test for genetic markers in a matter of minutes. Technological advances have the potential to change where and how people get their health needs met. In the health care system of the future, hospitals will still play a major role but are likely to work more collaboratively rather than being standalone institutions. There will be a drive towards working more closely with community, social and primary care services in locally integrated systems to ensure that people are only cared for in hospital when appropriate. Aligning separate hospitals and other organisations is no small undertaking – but nor is it a pipedream of policy-making. Health leaders in Northumbria and North Tyneside have been working to link their hospitals and collaborate with primary, social and community care for more than 10 years. Northumbria Healthcare NHS Foundation Trust currently covers three district general hospitals and six community hospitals. In 2015, the trust will open a dedicated emergency care hospital that will operate round the clock with a team of specialist emergency consultants. The district hospitals will focus on elective care. The trust covers a vast area geographically – 2,500 square miles from Hexham in the Tyne Valley to England’s northernmost town of Berwick. It runs community services for 500,000 people in Northumberland and North Tyneside, and social services for 320,000 in Northumberland. It employs around 9,000 staff. Derek Thomson is a GP and medical director at the trust who has been closely involved with integrating the various organisations from the outset. He says that in the early days, the experience involved ‘some difficult conversations’ with staff at hospitals that previously regarded each other as competitors. ‘Basically, our drive was “we’re one trust, we might work across nine sites but we work as one. We have a set of standards that we expect everybody to follow and that’s the way we’re going to work”,’ he recalls. Key to the trust’s success, according to Derek, were having an extensive organisational development plan to break down barriers among staff and settings, and building good relationships. 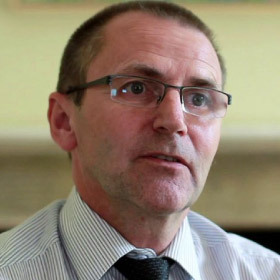 GP Derek Thomson has been a medical director at Northumbria Healthcare NHS Foundation Trust for 12 years. K. What inspired you to encourage the various hospitals and care organisations in the area to work more closely together? D. It was really after hearing about Kaiser Permanente on a trip to look at levels of care in Florida in 2000. We brought back a lot of what we saw and integrated it here – how we recruit staff, how we run our business with clinical leadership, the business unit structures, and of course all the stuff about long-term conditions that Kaiser is best known for. K. In practical terms, how do the trust’s different hospitals and care organisations work together? D. A lot of organisations that have come together still have separate hospitals that function independently. Not in Northumbria! It doesn’t matter where you are, you can still expect the same standards of high-quality care. We have also built a brand-new hospital just for emergency care, opening next June. All the emergency systems will be there, with 24/7 cover from specialist doctors. The existing district general hospitals will continue with elective care. Our community hospitals are aligned to the district general hospitals, as hubs for local services and a link to community services, which in turn link to GP practices. Each community hospital has had a redevelopment programme. For instance, Haltwhistle hospital now offers 12 ‘extra-care’ flats for vulnerable people on the ground floor while the rebuilt community hospital that my practice services is on the top floor. We do daily ward rounds, a weekly multidisciplinary round with consultant support, blood transfusions and all sorts. We spend a lot of time maintaining relationships with practices from a commissioning point of view. This year we put on three free educational events attended by 650 GPs to offer whatever training they wanted: child protection, heart failure, minor ops, chronic obstructive pulmonary disease. It was marvellous to re-engage primary care physicians with hospital consultants. We’ve also got GPs who work half their time in A&E and half in general practice. Other GPs are in leadership roles, like me. K. Are you hopeful about being able to continue this work in the future? D. Absolutely! With good relationships and a will to do so, I don’t think there’s anything you can’t solve by working together. Each of the innovations explored on this journey has the potential to improve the delivery of care and the outcomes for people and populations. Innovations like these, if adapted at scale, in ways that are tailored to local communities and services, have the power to truly transform care. But transformation will only happen if many changes occur in tandem and at speed – at a pace set by the current challenges facing health care. Long gone are the days in the English health care system of working to a centrally planned blueprint, rolled out in every hospital and clinic. We are already living in a complex, uncharted, extremely ‘messy’ environment. 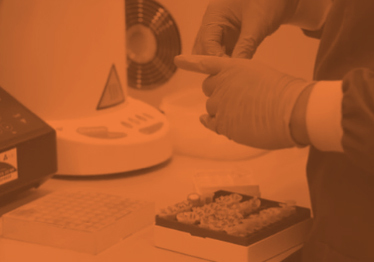 New ways of working, new medicines, new technologies, experiments with relationships – while all these should be properly evaluated and shared, there will be no silver bullets. Solutions may be as varied and complex as the problems they are trying to address. A willingness to try and to fail will be a core skill for leaders of the future. There is a profound insight into future care that is rarely articulated in current debates: that it is less a shift from a current rigid ‘system’ to a different rigid ‘system’ but more a shift to a much more uncertain and unpredictable world characterised by change. This in turn places a premium on flexibility and agility – including a will to decommission and disinvest from outmoded models of care as new possibilities present themselves. Much will hinge on the ability of health care leaders at all levels to embrace uncertainty, unpredictability and experimentation, and to adapt quickly to innovations of proven benefit. Key to progress in making this happen will be forging partnerships. These may be between academics, clinicians and industry (such as the academic health science networks), or between clinicians and patients operating with a new vision of the rights and responsibilities of those involved in health and care. They will be partnerships, if that is the right term, between people and the technology that will support them to stay healthy and to engage in their own care. 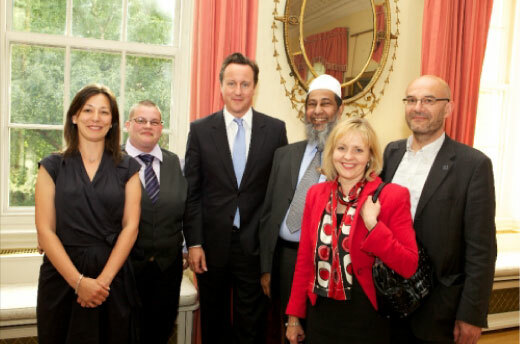 Our Time to Think Differently programme provided an opportunity to throw a new perspective on old problems. It set out in stark terms that the challenge for those operating in and shaping our future health care system will be in acting, as well as thinking, differently. This is a daunting challenge at many levels for those involved in our care systems. But these innovations offer at the very least a fleeting glimpse of the possibilities, visions and hopes that beckon us towards better ways to care.